Rachel Sontag's haunting memoir, House Rules, is an incredible testament to the beauty of truth. In her acknowledgments Sontag states "I know this subject matter is personal, I just didn't know how to live without sharing it." How brave to share her truth. In doing this Rachel is able to write her own story -one she doesn't need to whisper and and alter to fit her family's set of rules. Very powerful! The very funny Heather McDonald has just come out with her book -You'll Never Blue Ball in this Town Again. Just the title,right? McDonald's humor on screen (Chelsea Lately) translates well in this laugh out loud story about her early(ish) dating days. Particularly entertaining a passage where she and her sister are helping out the family's real estate business by cleaning off the bus stop signs that are filled with profanity. (not their own!) A really fun read!! With a cover reminiscent of Valley of the Dolls -this book jumped right off the shelf and into my waiting hands! Jennifer Belle's new novel is an entertaining read -clever with charming characters. Izzy is lovable as she explores her role in her own happiness. After being let go from a high powered job in a hedgefund she finds herself with time on her hands. time to figure out whether or not she is happy...or is this just the seventh inning? just loved this story! A week of shivah brings a dysfunctional family together to mourn, love, learn and let go...what a fabulous novel by Jonathan Tropper! Am so glad I found my way to this original and well drawn story. The characters are colorful, the dialog is clever and the story is just perfect! Loved it!! .....it's not just the dust motes that are repetitive! Alix Strauss has an incredible way with words...funny,dark,ironic are some that come to mind when describing her new novel -Based Upon Availability. A hotel is the perfect setting for juicy storytelling....does what happen there stay there? Read and see for yourself! Family drama set in the summers of Maine! If Ayelet Waldman writes it - I must read it. It's that simple.The book opens with one of those unthinkable scenarios..the "what ifs" and we are on a journey which plays out as a symphony. Jane Green always delivers-her latest, Promises to Keep,is indeed a promise kept to her readers to turn out the very best with each new book release. Yes, I cried and I cannot recall the last time I teared up while(as jane would say, whilst) reading a novel. It is a story of love, friendship, forgiveness, trust and lots of wonderful food. (recipes included!) Written in loving memory of Jane's dear friend, Heidi Armitage, Jane shared at the Westport fundraising debut that while there are many pieces of Heidi's story in this book -this is not Heidi's story. What a story..what a friendship. We should all be so blessed. 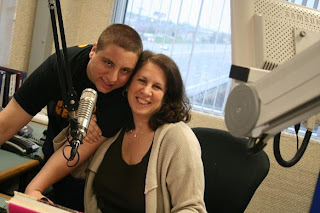 So many people ask about the producer of the Reading With Robin show...they enjoy our early morning banter. Well...here he is! Enjoy!! ARM CANDY is exactly what I so love about Jill Kargman's stories -light,breezy reads with lots of current mentions and trendy topics but SO much more! Jill's styled sense of humor hits the mark every time. This book has it all -do not miss this one! Loved the Mad Men references! Any friend of Betty Draper's is a friend of mine!! LOVED THIS!!! Claire Cook is back with fun summer reading entertainment in the tradition of past favorites: Must Love Dogs, Multiple Choice, Life's a Beach -these light hearted books are filled with humor and always - a message! Cook is a master of witty dialog, so much so that I can imagine the screen version already! We root for her heroines and can always find the good side of the "bad guy! 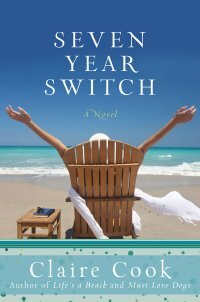 "A page-turner Seven Year Switch will make you want to grab your girlfriends for a getaway!! WOW!!! 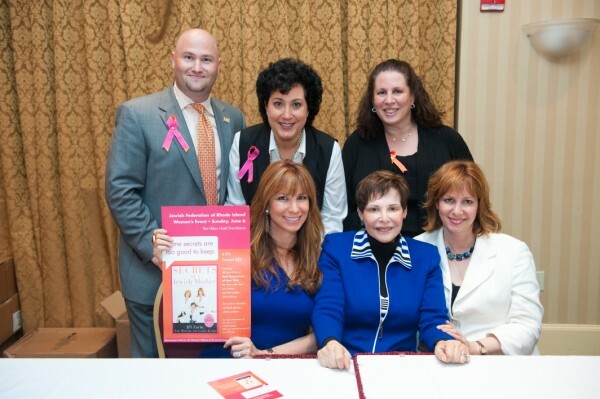 What a time we all had this past Sunday,June 6th at the Hilton to celebrate Secrets of a Jewish Mother with authors Jill Zarin,Lisa Wexler and Gloria Kamen!! My co-host,Lezli (mother of season 16's AMAZING RACE winners, Jordan and Daniel! )Pious and I had a blast with this event!! Sponsored by the Jewish Federation of Rhode Island this Women's Event was inspired by all of Bradley Laye's energy and hard work!! We had the best committee ever -thanks for spreading the word -what we women do best! Looking forward to working with everyone again!!! For photos check out http://www.jfri.org/ and a big thank you to http://www.golocalprov.com/ for their coverage and enthusiasm for the project!! Emily Giffin's Heart of the Matter is the perfect summer read! The story takes place in a bedroom community of Boston which is drama right there. A glimpse at the moms who run the town and the marriages that surround them. Compare and contrast and taking care of what's yours. Or are they? There is a lot that will seem familiar in this well written,engaging novel which is filled with memorable characters and thought provoking matters of forgiveness. The Pressure...of a blog post! !